Governor Andrew Cuomo visited Jerusalem on Sunday in an expression of solidarity with the Jewish community, accompanied by the Orthodox Union’s Executive Vice President Allen Fagin. Following a meeting with Jerusalem Mayor Nir Barkat, the Governor announced the creation of a New York-Israel Commission, charged with assisting in the creation and promotion of opportunities for the development of new programs and economic partnerships celebrating the relationship between New York State and the State of Israel. Governor Cuomo appointed Mr. Fagin as co-chair of the Commission. The Governor’s Israel visit is only the latest in his efforts applauded by the Orthodox Union. On February 23, at an interfaith meeting at the Museum of Jewish Heritage, the Governor proposed a $25 million grant to strengthen security staff and equipment in New York State schools and community centers, an issue which Teach-NYS, a project of the Orthodox Union, has been at the forefront of championing. On March 1, the Governor spoke to the Orthodox Union’s 500-person delegation to Albany, emphasizing his commitment to the equal funding of religious day schools. 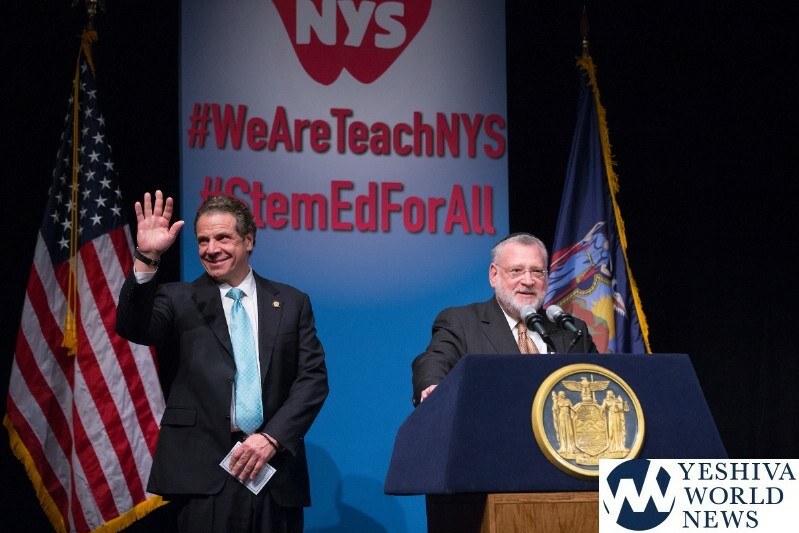 Teach NYS urged the Governor and the legislature to invest in STEM (science, technology, engineering and mathematics) education funding for all schools – including nonpublic schools – to ensure all students have the tools they need to succeed in a shifting economy.